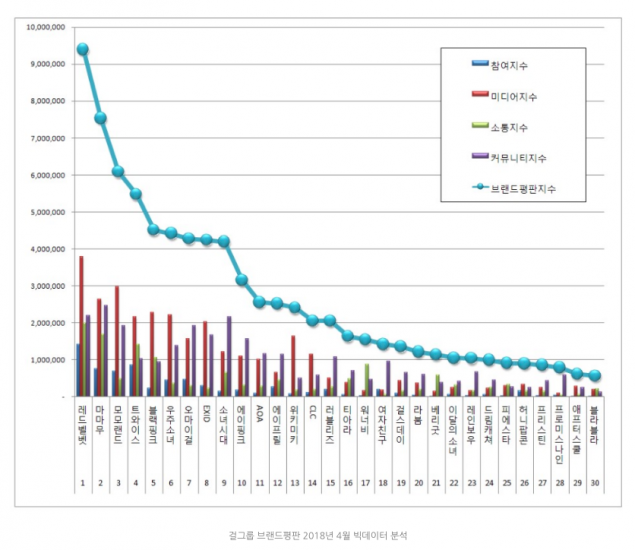 The Korea Brand Research Center has released the rankings of female idol groups in terms of brand values for the month of April. According to over 88,438,696 pieces of big data analyzed between March 5 through April 6, 2018, the #1 spot for girl group brand values went to Red Velvet for the second month in a row. Red Velvet earned the #1 spot with a total of 9,394,264 data points. MAMAMOO, who recently surprised fans with a single release, came in 2nd place with a total of 7,532,019 data points. Momoland followed in 3rd place with 6,085,545 data points. 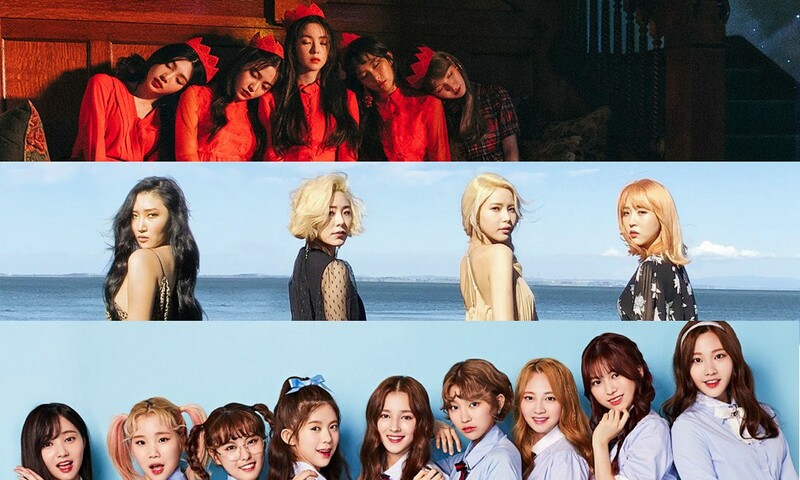 From 4th through 10th place are, as follows: TWICE, Black Pink, Cosmic Girls, Oh My Girl, EXID, Girls' Generation, and A Pink.